One afternoon, I sat on a kitchen counter in NYC, swinging my legs as I talked on the phone with one of my most devastating crushes. He had been in town the weekend before, and I had avoided him because he’d said something to me that I didn’t like. He was mad about the fact that I had sidestepped him. I was playing it cool, pretending to be above it, acting like I didn’t really, really like him. But what he said to me during that phone-call stuck with me forever. I’ve never forgotten that, and in some ways, it has become one of my guiding principles. I know how tempting it is to play it cool, keep one foot out the door, not really say how you feel. To be coy and unavailable, to be afraid that if you brought your full enthusiasm to something, the fear of failure would be too great. That to bring your whole self would intimidate other people and scare them away. But I also know that holding back your true feelings is just another form of playing small, not allowing your light to blaze through the sky. It’s a way of minimising who you are, of shrinking yourself down to be safe and obliging, of living for other people instead of yourself. No more wasting of time. If you like her, tell her! If you want that job, ask for it! If you want to do something, start! Don’t withdraw; don’t hold back; don’t procrastinate. Give it all, especially when it makes your stomach flip. The real pleasure begins when you admit what you don’t know; when you make mistakes; when you say, “I’m new at this: show me what you know!” It’s in having the confidence to take the stance of a beginner, and not being embarrassed about it. Allow yourself to become alive with joy. Drop the pretenses and artifice. Show us who you really are. Tell us your dreams so we can help you make them come true. Let joy radiate through everything you do. Bring your energy and life-force to every interaction. Don’t be afraid of who you are. 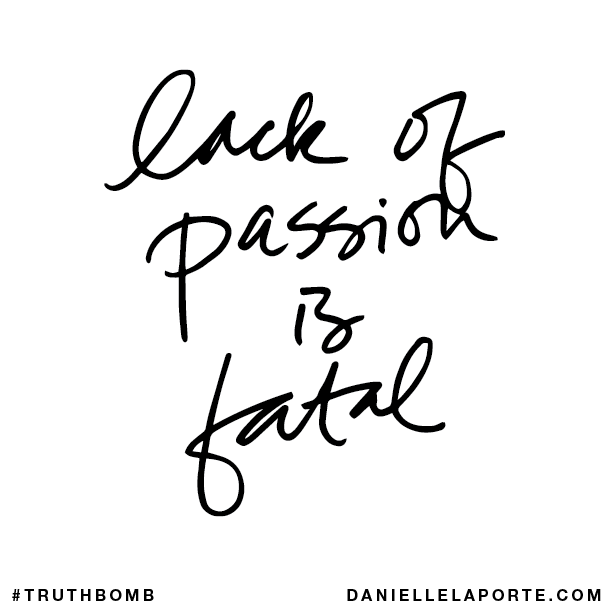 Photo from the Ruby lookbook and truthbomb from Danielle LaPorte.